A quality wooden cutting board or piece of real wood furniture is not only useful, but a thing of beauty that has the potential to last for many years, if cared for properly. Use, water, cleansers and time can dry wood out, causing it to crack. Cracks and crevices are not only unsightly, they can collect debris and harbor dangerous bacteria. 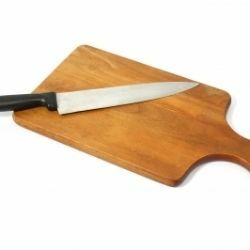 Traditional advice concerning cutting board care involves bleaching to remove germs and oiling with mineral oil to prevent the board from drying out and cracking. Bleach, is not always effective at sanitizing wood cutting boards, even at full strength, because the organic composition of wood can neutralize the disinfectant qualities of bleach. And mineral oil is a petrochemical product that may not be safe for ingestion or contact with the food that is prepared using the board. What is the alternative? Organic cleaners and conditioners are available online, but they tend to be very pricey. With a few simple ingredients, you can clean, disinfect, and condition your cutting board for pennies, and ensure many years of safe use. A beautifully conditioned board is a lovely asset to your kitchen! 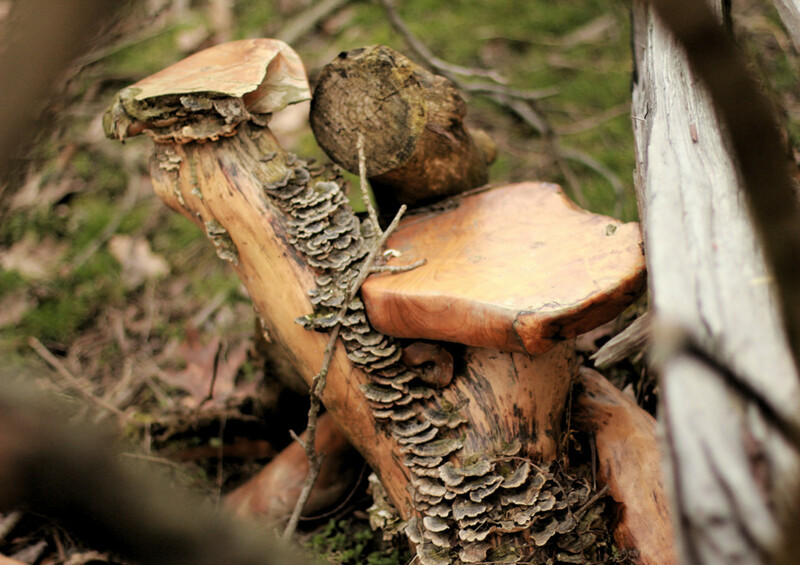 Wood furniture also needs periodic care and conditioning to keep it look beautiful. Many products on the market contain aerosols that are bad for your indoor air quality and detrimental to the environment. 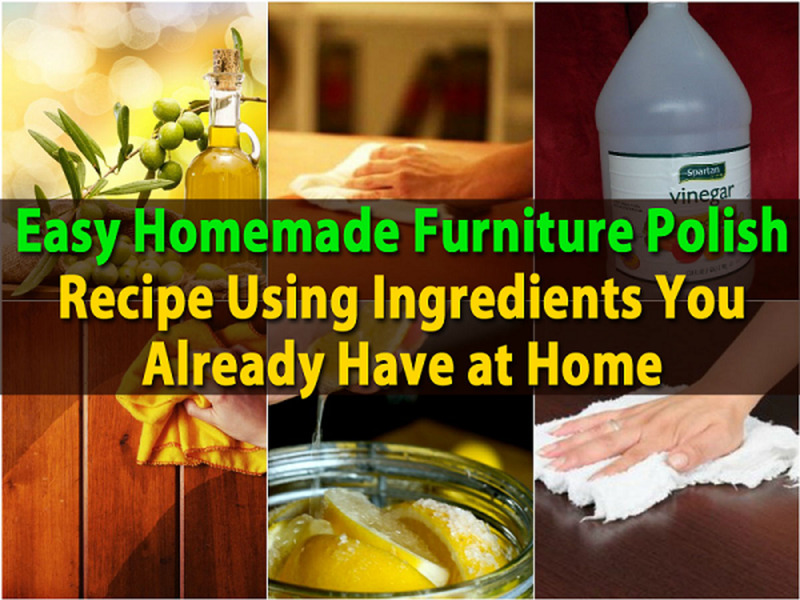 They may also contain alcohols and other ingredients that can damage the wood in the long run. By using the products recommended in this lens, you can clean and condition your wood furniture safely and naturally. Cutting boards can be cleaned and stains removed without the use of any harsh chemicals. Before discussing techniques, here are a few cautions. Try to avoid immersing your cutting board in water, and never put it in the dishwasher. This will prevent warping, cracking and drying that can occur if the board gets waterlogged or comes in contact with the dishwasher's high heat. To clean and disinfect your board, as well as to remove stains, lay it flat and pour a half cup of kosher salt onto the board. Slice a lemon in half and begin to rub the salt with the cut side of the fruit. 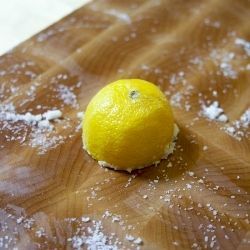 Rub thoroughly, all over the surface of the board, until the salt has dissolved, squeezing juice from the lemon onto the board. Discard the used lemon and wipe the board clean with paper towels. 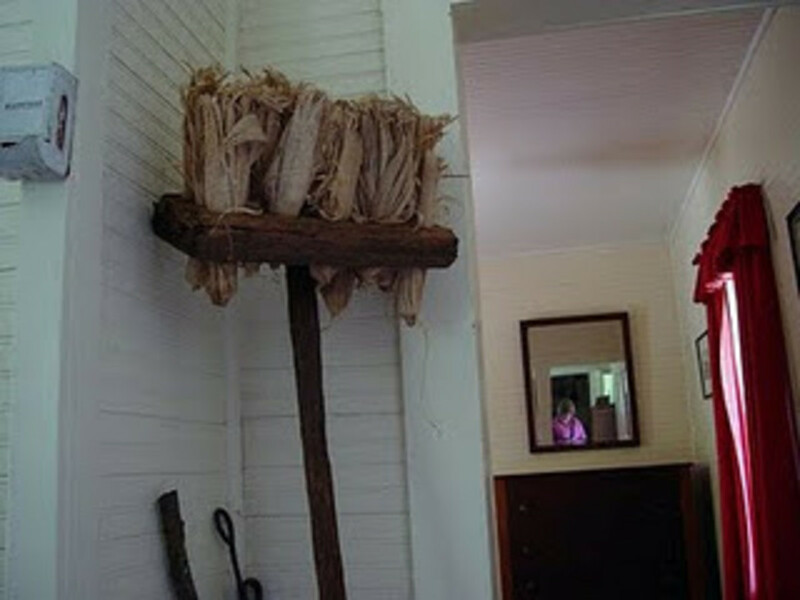 Stand the board upright to dry before storing. If the wood has absorbed odors from cutting garlic, fish or other strong-smelling foods, substitute baking soda for the salt. If you have used the board for meat or fish, stand the board upright at an angle and pour hydrogen peroxide over the entire board. 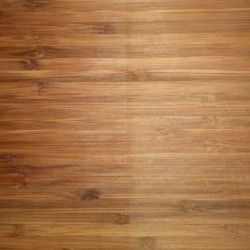 After a few minutes, rinse the wood quickly with water and finish by cleaning with salt and lemon, as described above. Store your cutting board upright so that it can dry thoroughly to prevent the growth of food-borne bacteria. To condition your board, rub it with a soft cloth and food-grade oil. Choose an oil that "polymerizes" when it comes in contact with air, forming a hard, inert surface that does not go rancid. Walnut oil, tung oil and coconut oil are great options. Create your own cutting board conditioning polish using the following recipe. Note that this mixture can also be used to keep wooden bowls, furniture and other items clean, shiny and beautiful. The wax and oils will keep the board moisturized, and the vinegar will help to clean the wood and prevent wax build-up. The photo shows a cutting board that has been conditioned with homemade polish on the left-hand side, revealing a shiny finish that shows off the grain of the wood. The right-hand side has not been conditioned and its appearance is dull and dry. Fill a small saucepan 1/3 full of water and place on the stove over low heat. For a small batch, mix 2 TBSP wax, 6 TBSP oil and 1 TBSP vinegar. Place the measuring cup in the saucepan and allow the wax to melt completely. If your cup has a handle, hang it on the edge of the saucepan so that the cup does not tough the bottom of the pan. Do not allow any water to get into the measuring cup. Don't let the wax get too hot, as it is flammable. Once the wax has melted, remove it immediately from the saucepan and stir. 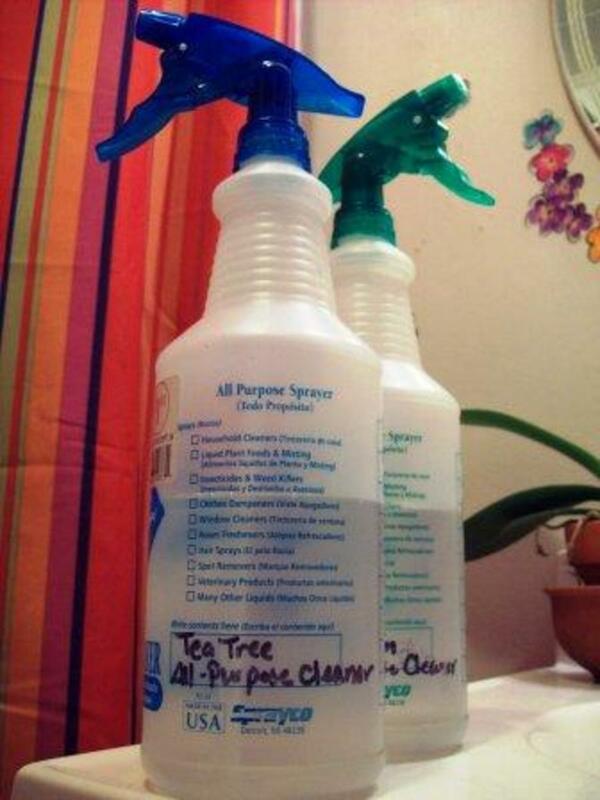 Add a few drops of essential oil, if desired. Pour the mixture into a jar for storage. Once the mixture has cooled to room temperature, dip a soft cloth into the polish and rub it onto the cutting board. If the board is particularly dry, apply a base coat. Then wait a few minutes and apply a second coat. Mineral Oil or Vegetable Oil? The most common conditioner recommended for cutting boards is mineral oil. However, some discourage its use based on its petrochemical origins or its potential allergic or carcinogenic qualities. The upside to mineral oil is that it is inexpensive, does not go rancid and is an excellent moisturizer. Organic alternatives are vegetable oils, such as olive oil, or nut oils, such as walnut or coconut oil. These oils are safe to ingest and have low rancidity. However, they tend to be more expensive than mineral oil, and do carry the small risk of rancidity. What do you think? Is mineral oil or are vegetable/nut oils a better option for conditioning a cutting board? Know the dangers of volatile organic compounds. Mineral oil either on its own or as part of a formulation has been a mainstay of dry skin treatments since it first started becoming generally available around the time of the first world war. Mineral oil is used in many personal care products, we explore the effects of mineral oil on the body and in skin care.